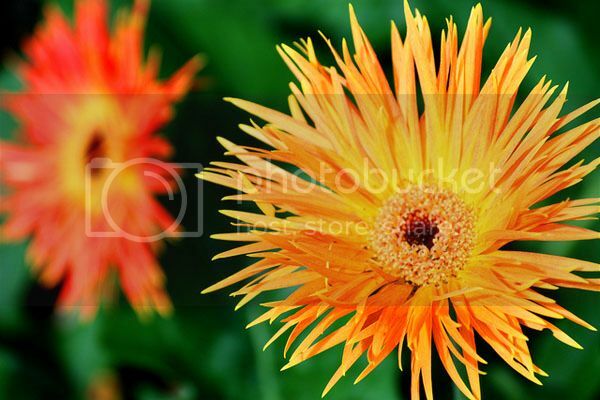 Some call it a Gerber Daisy, others a Gerbera, but either way it is one of my favourite flowers. It’s bold, beautiful and its large vibrant blooms will add color and life to any event. 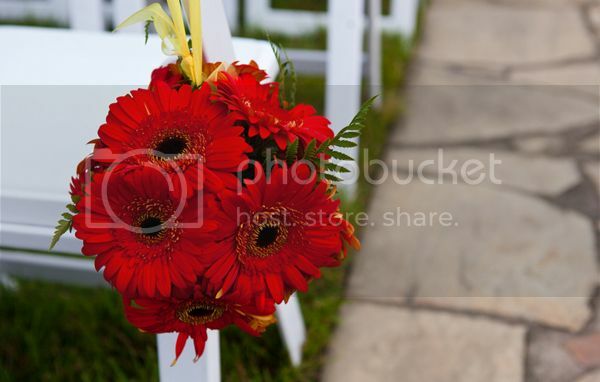 Somewhat less formal than roses, lilies and orchids – the Gerbera is what I consider a ‘fun’ wedding flower. It’s year-round availability, average price, large blooms and its ability to last once cut make it an ideal wedding flower. Because the blooms are so large you don’t need a whole bouquet of them to make a statement, (though you certainly can)! 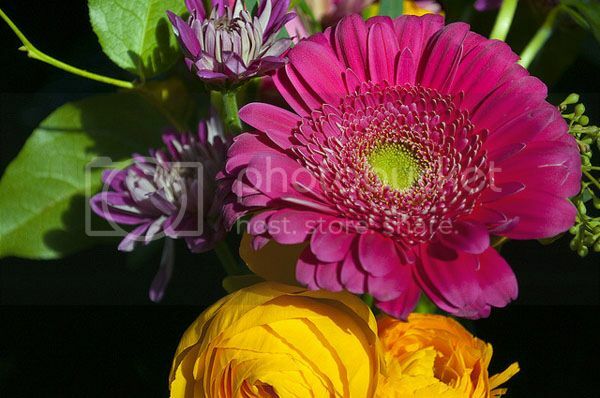 The Gerbera Daisy typically represents Charm, Cheer, Loyalty and Innocence. The color selection for these fabulous blooms includes various shades of orange, red, yellow, pink and yes, even white… though I must admit if you’re going to go with Gerbera Daisies, white seems like a bit of a waste. “Go Bold” I say! You should know, if you are planning on DIY Bouquets, the Gerbera daisy will initially droop a little when it is placed in water. This look might be exactly what you are going for, but if not there is a very simple solution. Gerbera stem sleeves (which are basically plastic straws that slide up the stem of the daisy), will serve to keep them perfectly upright. There are many places online to order them and you can likely get them from your local craft store as well! In the past we have featured Calla Lilies and I would love to showcase more wedding flowers in the future! Is there a certain flower you would like to know more about? 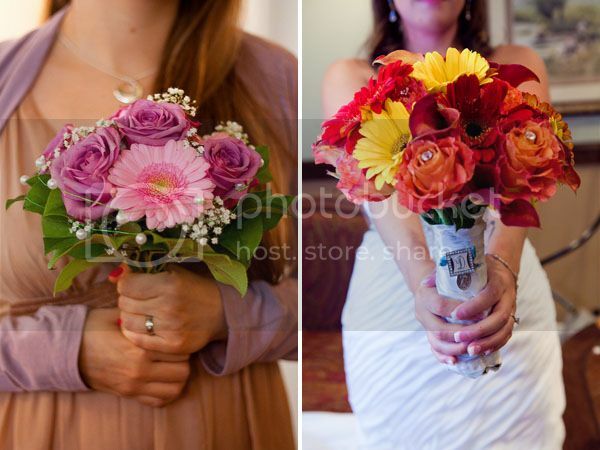 Or perhaps a favorite wedding flower that you feel deserves a little more attention? Let us know in the comments! 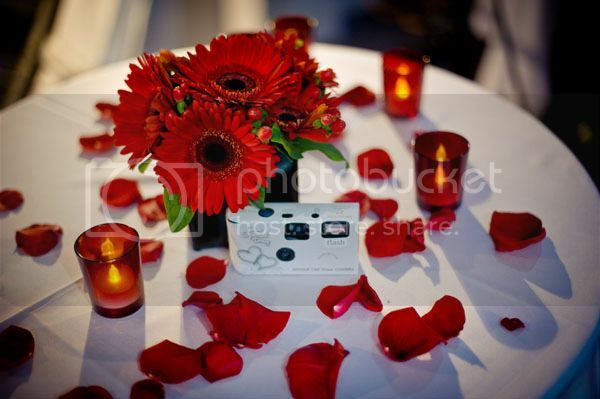 Oh my the Gerbera is such a beautiful flower and is perfect for any wedding ceremony or bridal reception.